The ACLU of Ohio urges a yes vote on State Issue 1, which will reduce the number of people in state prison and reinvest the savings to drug treatment programs and community services. The ballot measure would amend the state Constitution and require all fourth and fifth-degree felony offenses for obtaining, possessing, or using drugs or drug paraphernalia to be reclassified as misdemeanors. For decades the Ohio General Assembly has refused to acknowledge our over-crowded prisons, has repeatedly increased and enhanced sentences for drug use and possession, and has perpetuated the failed ‘War on Drugs’ in a disastrous way. Ohio voters now have the opportunity to reform our broken criminal justice system by supporting Issue 1. according to Gary Daniels, chief lobbyist for the ACLU of Ohio. “At its core, the initiative will improve community health, reduce our prison populations, and reinvest in communities. The ballot initiative has several other components, including language that would prevent re-imprisonment of formerly incarcerated community members when their only infraction is a probation violation. People who miss curfew or an appointment with their probation officer should not be sent to prison, according to Jocelyn Rosnick, policy director for the ACLU of Ohio. Ohio has a bad habit of relying on mass incarceration to attempt to solve every issue in our society, and Issue 1 will divert thousands of people back into community-based programs where they belong. People who miss an appointment should get a second chance. Ohioans struggling with addiction deserve treatment opportunities, not incarceration. Policy analysts estimate that the passage of Issue 1 would free up $136 million per year, and the initiative requires that those funds be reallocated to community needs, public safety, and addiction treatment. 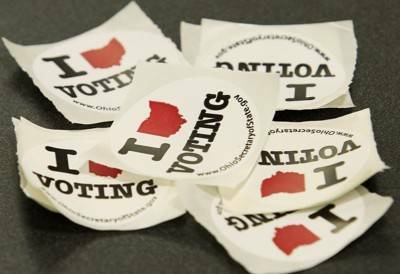 The ACLU of Ohio stands in support of State Issue 1 and encourages a yes vote.